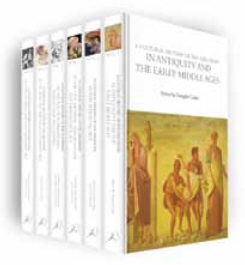 A Cultural History of Emotions, 6 Vols. Im Oktober 2017 wird bei Bloomsbury der Titel A Cultural History of Emotions in 6 Bänden erscheinen. Das Werk wird £395,- kosten und wir freuen uns, Ihnen auf diesen Preis einen Bibl.-Rabatt von 21% anbieten zu können. The first comprehensive period by period overview of emotions, from antiquity to the present day. Brings together scholars from history, literature, cultural studies, drama and theatre studies, musicology and related diciplines.